Pär Lindh is a Swedish keyboard player who first played in progressive bands in the late '70s, then moved into the classical arena for a decade before helping to kickstart progressive music in Sweden again late in the '80s. He's most decidedly a Keith Emerson nut, which is a bit of a shame, as his own style is frequently subsumed below that of his erstwhile mentor (of whom I am no great fan, I'm afraid). 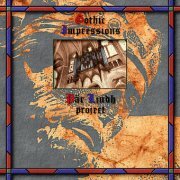 Gothic Impressions is Lindh's first album, and is certainly very gothic, although fewer digital synths might've been nice, although I suppose he needed sampled strings for some of the pseudo-orchestral arrangements. I actually feel that the album would have been better had it been instrumental; the vocals aren't particularly good, but musically it's excellent. Much church organ abounds (possibly real? ), along with the Hammond variety and some analogue synth lines here and there. Lindh owns Anekdoten's old twin-keyboard Mark V, and uses it in reasonable amounts over the first four tracks here, although I don't actually know if he'd bought it by 1994. The most major use is a solo Mellotron section at the end of The Iconoclast (not the ELP number), consisting of various flute, string and cello parts, although the other three listed tracks have enough 'Tron to be worth the effort, particularly the lengthy The Cathedral. Lindh's take on Mussorgsky's Night On Bare Mountain is more 'accurate' than Fireballet's, but isn't a patch on it for sheer excitement value, I'm afraid. 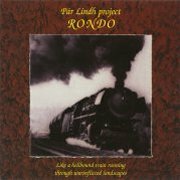 Rondo, a mini-album, was Lindh's next release, and looks rather like a stopgap between albums 'proper'. The first third of the CD is a cover of Dave Brubeck (via ELP)'s Rondo, with full-on Emersonisms abounding, while the next two tracks are short and generally uninteresting. This leaves the 11-minute Solaris, mostly played on an ancient Korg 3100, with a little 'Tron choir and strings coming in after the 9-minute mark (definitely the Mark V this time), so I wouldn't exactly call this one a 'Tron classic. By the way, the lettering on the sleeve says "Like a hellhound train running through warinflicted landscapes" (sic). No, I don't know why, either. It was back to business as usual on '98's Mundus Incompertus, after Lindh's diversion with Björn Johansson (below) and while it's a definite improvement, those Emersonisms keep creeping in. The vocals are much improved, although the song structures still wander in places, and while there are thankfully fewer digital synths, I still don't know the provenance of the church organ sounds. On the Mellotron front, Baroque Impression No.1 only has the odd burst of choir, while the acoustic guitar-driven The Crimson Shield concentrates more on strings and flutes. The lengthy title track offers very little Mellotronically until about fourteen minutes in, when it suddenly breaks into a solo 'Tron cello part, with choir and strings coming in over the top. 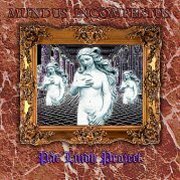 Unfortunately, that seems to be it, so hardly a 'Tron classic, but if you like Lindh's other albums, you'll like this one. 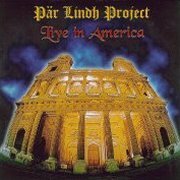 Lindh's first live album, Live in America, is a shortish two-disc record of his first US trip, mostly recorded at Progday 1998, although two tracks, Allegro Barbaro and The Crimson Shield, hail from the previous year's Brazilian jaunt. It's a good run-through of material from all three of his releases to date, plus a version of William Blake's Jerusalem that's actually introduced as 'ELP's version', a medley of pieces from Lindh and Björn Johansson's Bilbo and their take on Crimson's 21st Century Schizoid Man. Plenty of Mellotron (assuming he actually took/borrowed a real one), with choirs on Baroque Impression No. 1, Jerusalem and The Iconoclast, choir and strings on The Cathedral Part 1 and flutes and strings on Green Meadow Lands. However, the choirs on the track sound like generic samples, running alongside the sampled church organ, also appearing on Rondo and the strings on both parts of Mundus Incompertus sound sampled, too. Overall, not bad, but not for beginners. 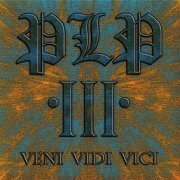 By now officially a trio of Lindh, Magdalena Hagberg on vocals and violin and drummer Nisse Bielfeld (which probably explains the 'III' on the cover), 2001's Veni, Vidi, Vici isn't wildly different to Lindh's previous work, still with a little too much ELP for comfort, although the band's sonic palette seems to've been somewhat expanded. Opening with a short piece scored for strings, Adagio, followed by the PLP-by-numbers of the title track, the album's centrepiece is Gradus Ad Parnassum; epic in scope, Lindh's concert-standard piano work elevates it to probably the best piece on the album. On the Mellotron front, there are background strings on Veni, Vidi, Vici, Gradus Ad Parnassum and Hymn, with a more upfront part on Juxtapoint, along with what sounds like 'Tron flutes, although there is credited flute on the album, too. With (real) choir on a couple of tracks, more (real) string section and (yup, it's real) church organ, too, despite the occasional overly-bombastic outburst, Lindh has made another listenable and largely well-written album in the by-now classic progressive tradition. 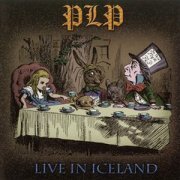 Another live effort, Live in Iceland, does exactly what it says on the tin; a disc's-worth of material from what I would guess to be the band's only trip to an island that rarely features on touring bands' itineraries. It's almost a live version of Veni Vidi Vici, with no fewer than eight of its tracks, plus a bit of Prokoviev (Montagues & Capulets, from Romeo & Juliet, in a not entirely tasteful arrangement) and Eubie Blake's Charleston Rag, going for that 'Emerson effect' again on both fronts. Given the fact that Lindh concentrates on the piano on most tracks, yet there's Mellotron all over the place and Hagberg's credited with keys, I think it's safe to assume that most of the Mellotron work is hers, not his. We get strings and choir (sometimes simultaneously) on Gradus Ad Parnassum, presumably from Lindh's MkV; the choir wobbles authentically enough at one point that it must be real, with more of the same on Veni Vidi Vici, Tower Of Thoughts (although it's not on the studio version), while the choirs on The Premonition are probably Lindh, as a) Magdalena's singing or playing violin and b) Lindh isn't doing anything else at that point. Well, going by these albums, Pär Lindh has considerable talent, but doesn't always know in which direction to point it, although I'd still say buy all here except Rondo. Tragically, Magdalena Hagberg died in 2007, aged all of 34; Lindh has regrouped the band, but this probably explains their relative inactivity for most of the 2000s. I've listened closely to their first studio album for a decade, 2011's even-more-ELP-then-usual Time Mirror, but the nearest it gets to a Mellotron is a mere few seconds of Mellotronish strings under what sounds like (but isn't credited as) real violin at the beginning of With Death Unreconciled (very possibly about Hagberg). Note the 'ish'; I don't actually think it's a Mellotron at all, although why Lindh should drop them at this stage of his career is unknown. Because Keith Emerson (almost) never used one? Who knows? 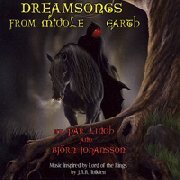 Lindh's third album, his take on the whole Lord of the Rings thing (or rather, in this case, The Hobbit), Bilbo, was a collaboration with guitarist Björn Johansson and is the odd man out in his catalogue, being a largely folk-influenced work. There are still plenty of his trademark keys, but practically no Emersonisms this time round (hooray! ), although I hear relatively little of his much-trumpeted 'Mellotron 400 and Mark V', either. Mostly instrumental, the material is far better than on Rondo, although Lindh still tends towards a lack of taste in places and (again) too many digital synths. Just about the only Mellotron I can hear is choir parts on the highlighted tracks above, some (The Battle Of The Five Armies) more upfront than others, with maybe just a smidgeon of strings on the closer, Shire Song. Did this really need three keyboards'-worth of Mellotrons? The duo followed up, six years later, with Dreamsongs From Middle Earth. Now, LotR fans, what slightly important cultural event occurred between the release of these two albums? Hmmm. A film trilogy? Could be. Unsurprisingly, Dreamsongs sports a rather more Celtic flavour than its predecessor, but it's not as if Bilbo is entirely bereft of cod-Oirishisms, so I might be being a little harsh. Highlights include Dreams Two, Four and Ten, although Dreams Three and Nine, with their over-reliance on digital synths and bombastic arrangements, are probably the weakest tracks here. Lindh adds Mellotron to most tracks, with strings on all highlighted selections above, plus a flute solo on Dream Two, choirs on Four and other flute parts here and there, although the flute solo on Four sounds like a synth. We all know that there are no issue surrounding Lindh's genuine Mellotron use, but listen to the closing seconds of the album to hear Mellotron string tapes grinding to a halt. 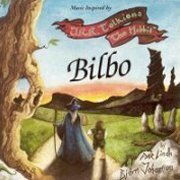 So; two more albums in the growing library of LotR-themed recordings (well, it wouldn't be shrinking, would it?). Both have their strong points, although both are also rather overlong and drag in places, while Dreamsongs is definitely the stronger Mellotron release.